SKU: 17166. Category: Easels. Tags: Easel, reeves, Surrey. 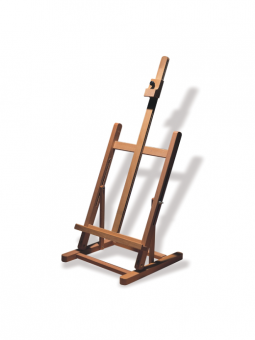 The Reeves Surrey Easel is ideal for presentations & studio work. This easel is made from hardwearing beechwood and has an “H” frame construction which collapses for easy storage and can be adjusted to achieve different painting angles. Rubber feet prevent the Reeves Surrey easel from slipping and help protect work surfaces.